Whilst I enjoy pretty much every week at Rainbows, there are some meetings I'll remember for longer than others. This week's meeting is definitely falling into this category. Parents pay £2 a week for their daughter to be in our unit - this has to cover our rent, badges, and all our activities. As Girlguiding is a charity, we can't run our units for profit which is one reason why we are so cheap compared with, say, dance classes. We budget carefully and have weeks with cheaper activities and weeks with more expensive ones. 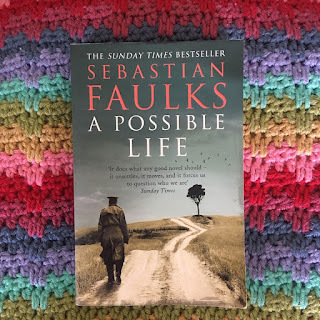 We try to have balance in our activities - recently we've done a cutting and gluing activity (amazing how many children rarely get the chance to use scissors), baking, played parachute games and discussed why zebras are an actual real animal and not just a horse in face paint (I know, this latter 'fact' was a surprise to me too!). Going with the zebra theme, we decided to have a go at tie dyeing plain white pillowcases to make them stripey. Tie dyeing with 5-7 year olds in an hour? Excellent idea! One of our leaders had found some dye suitable to be used with this age group (under a lot of supervision, I hasten to add!). It comes in squeezy bottles, I unscrewed the lids, added water, put the lid back on, shook it a lot, and the coloured powder in the bottle dissolved into the water. The lids had caps that you took off to gently squeeze the liquid out. Or not so gently, depending on your approach to decorating. 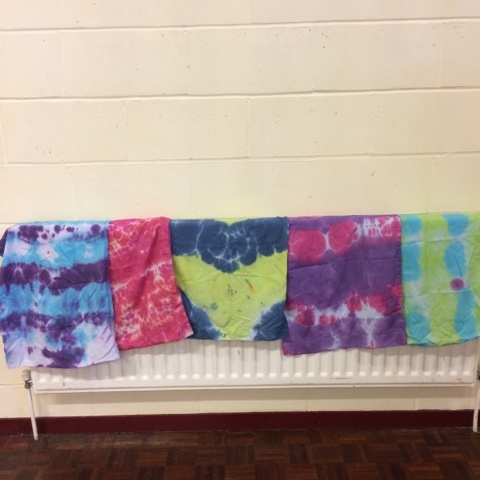 In small groups, we explained how tie dye works, how we were going to tie elastic bands around the pillow cases which would stop the dye from touching that bit of material, and so when we took the bands off, that bit would be white but the bits on either side would be pink, or blue, or green. Some of the girls understood this, a few were a bit confused, I think it's a hard activity to explain without doing it, as you can't quickly show each process. We wrote their names on the labels of their pillow case and then we tied on a lot of elastic bands. Then a few more elastic bands. I often forget with this age group how much they don't know but also how quickly they learn. One Rainbow was shown how to make an elastic band tight and before I knew it, she'd tied several on her own pillow case and was helping others with theirs! Lovely. We then headed outside, I'd mixed the bottles of dye and two leaders played games with the girls whilst myself and another leader supervised them one at a time dyeing their pillow cases. After putting plastic gloves on the Rainbow (cue cute photos of girls with teeny tiny hands wearing large plastic gloves!) we put the pillow cases on the gravel and the girls poured on the dye. The opening in the bottles was much bigger than we thought and the dye came out quite fast and for several of the girls their design wasn't as neat as they wanted - but that's half the fun of tie dye, you never quite know what it's going to look like at the end. The pillowcases were put into plastic bags and one leader had the unenviable job of taking them home to sort out. Anyway, over the course of the next week, the pillowcases were dried, had the elastic bands taken off, were washed and dried again, before being brought back to Rainbows to return to the girls. I was pleased this week that we didn't have any girls with us who weren't there the week before, as it's not a craft we could keep a spare of, or do again. Thankfully, everyone there had made one and I held the box close to my chest whilst we asked the girls what they thought the pillow cases would look like. I'd already gone through them and squealed - they had worked so well, most had lovely clear white lines and coloured lines and I was a little bit sad there hadn't been enough dye left over for me to do one! One by one, I held the pillow cases up - who had done a pink and purple one? (most of them). Who thought this might be theirs? Then I read the name on the label and handed it to the right Rainbow. They were so pleased with them, it was lovely to watch. They were comparing their designs with others, talking about lines going side to side or up and down, how some areas were brighter than others, and also learning words like horizontal, vertical, bleeding (in terms of dye, and not actual blood, we had already tried to explain that 'dyeing' is not the same as 'dying'). I was sitting between two six year olds, and talking to the one on my left. The one on the right said my name and I turned to her. She put her hand on my arm, leaned to the side so she was looking right at my face and said "thank you Amy". Thank you for what? "Thank you for doing this really good activity with us at Rainbows". I could see how delighted she was with her pillowcase, and I reassured her that it had been washed already and could go on her bed as soon as she got home! At the end of Rainbows, we sing our goodbye song and then one leader stands at the door, only letting the girls go through it when their parent is there to collect. Usually the girls run to their parents for a hug and often you'll hear something along the lines of "what did you do tonight" "played a game" and that's the end of that, regardless of what we did. But this week, the girls all ran to their parents, most waving their pillowcases and chattering away about bleeding and dyeing (great!) and zebra stripes. I'm counting that as a successful activity! What a fantastic activity! And one that the girls can enjoy remembering at home with the pillow cases! 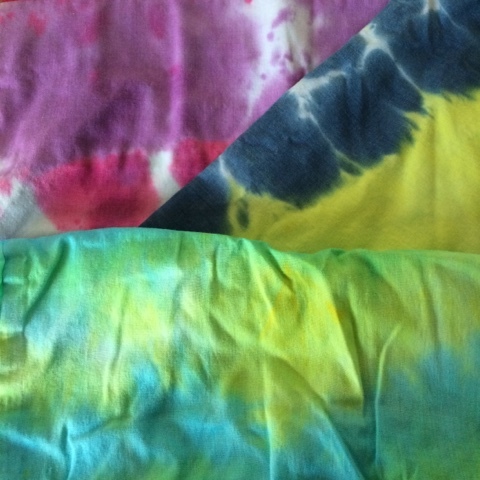 My daughter once made a tie dye t shirt, but of course that only lasts so long and then it doesn't fit; pillowcases last ages! Such a fun activity to do with kids. I might have to do it with mine next summer when the weather's warm enough to do it outside so there's slightly less need to stay tidy! Which dyes did you use? Squeeze bottles sound like a good plan for keeping the dye contained. It's called Tulip dye...quite pricey but we bought when it was in a sale. We got through 9 bottles for 13 girls but it's supposed to go further and we would have been able to stretch it had we had smaller nozzles.